Another good choice for young families and professionals. 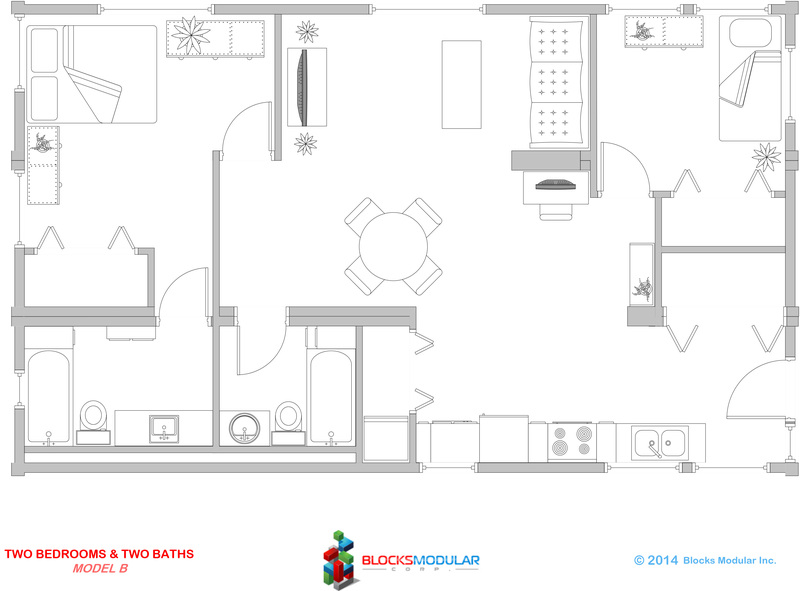 This two bedroom/bathroom model is ideal for rental properties. A variant on model A, model B offers the same amenities but in a different layout. 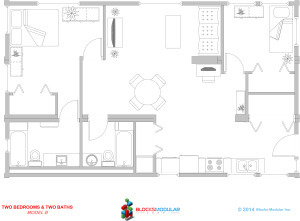 Ideal for rental properties, the two bathroom division allows for additional privacy and comfort.